It’s been a while since we have been active, but we are gearing up for the 2017 season at Punderson! If you are an avid camper, or just enjoy Punderson State Park we are looking for volunteers for some events we are organizing! Please contact us at president@friendsofpunderson.com to sign up! If you already play disc golf our March Madness league will put a new spin on how you play and score points! Our most fun league of the year. If you haven’t checked it out yet, we highly recommend it. We highly recommend this league for more experienced disc golfers who like to have fun! It’s that time of year again! 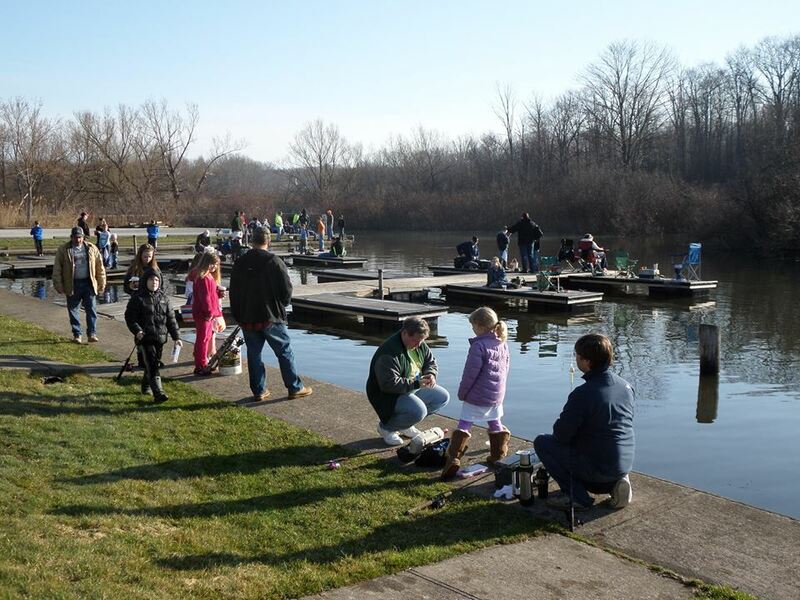 The Kids’ Fishing Derby is one of big events and we are hoping to have much better weather for it this year. Registration will be limited to 80 children, ages 15 and under ONLY at the time of the event. The Marina will be closed to the general public the day prior and during the event to give the kids the best chance to catch fish. The general public and those 16 and older (who will need a fishing license) may fish in other areas along the lake, just not at the Marina. The Friends of Punderson will be taking the registration this year – we will open registration one week prior to the event. Flambeau will once again be sponsoring the event and we hope to have Gander Mountain of Mentor back again this year as well! We have had some interested in starting a beginner’s disc golf league once again! If you are interested in signing up your child please contact us at president@friendsofpunderson.com. More details to come. This is a pending proposed event! If you are an avid camper who owns a vintage camper you like to show off we want to know if you would be interested in this kind of event! It would be a “Campers Only” event. We are looking at sometime in June or after the 4th of July. However we NEED to know if you are interested! If approved we hope to provide some entertainment and maybe even have some sort of cook off contest! Last year’s Halloween Camp Out was a huge success and we are looking forward to this year with hopes of providing more activities for the kids and be more prepared for the costume contest. If your site was a Decorating Contest WINNER from last year, we have your camping vouchers! We just have to put them in the mail. The state had to re-issue them and we have not sent them out yet. Again, volunteers are key to making these events possible and successful! Please contact us if you would like to help out! We have Disc Golf events running all year long! Just head up to the course and check out the bulletin board on the kiosk! Saturdays are generally league days. We also have several tournaments coming up throughout the year. We are proud to currently be rated the #1 Disc Golf Course in the state of Ohio and #15 in the USA putting Newbury, OH on the map!